Dioscorea dumetorum is an important native tuber crop commonly grown in West Africa. The present study aimed to document the indigenous knowledge related to its diversity and distribution as well its ethnobotanical importance in the production areas in Benin. In total, 555 farmers belonging to 18 socio-linguistic groups were surveyed in 78 villages covering the major production areas in the country. The study revealed that local farmers have developed important knowledge on the production and uses of this tuber crop. Twenty-five farmer-named landraces, further grouped into 3 major morphotypes, were globally recorded. Their extent and distribution varied significantly, with in general the southern and central agro-ecologies holding the largest cultivar diversity while the northern agro-ecologies being less diversified. The pure yellow cultivars were the most popular morphotype. The seed management system remained traditional. 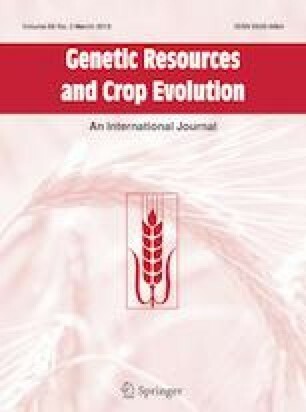 Farmers’ preference criteria in selecting cultivars relied essentially on plant attributes and environment stress adaptations. The crop is grown mainly for food and trading purposes while it is also used in traditional medicine and magico-mystic rituals. Along with agro-ecological parameter, the results revealed that the socio-cultural factors such as the ethnic group and the age of farmers had significant impact the overall use value of D. dumetorum. Wild morphotypes of D. dumetorum were recognized and also exploited in ethnomedicine by farmers. Although well appreciated by the farmers, the potential of the crop was less exploited. Concerted efforts are needed to preserve and valorize its genetic resources to combat food insecurity and malnutrition in Benin. The authors sincerely acknowledge the farming communities of the region for their willingness and sharing empirical knowledge and experiences on D. dumetorum cultivation in Benin. We are also indebted to Biopaix Ahoyo, Hermann Dossa and Fiacre Zavinon of the Laboratory of Genetic Resources and Molecular Breeding (LaREGAME) and particularly the development agencies who gave us all the help we needed during the field survey. The authors extend its gratitude to the International Foundation for Sciences (IFS), Switzerland, for supporting this research under the research grant offered to the first author (IFS Grant Agreement No. C/5682-1).